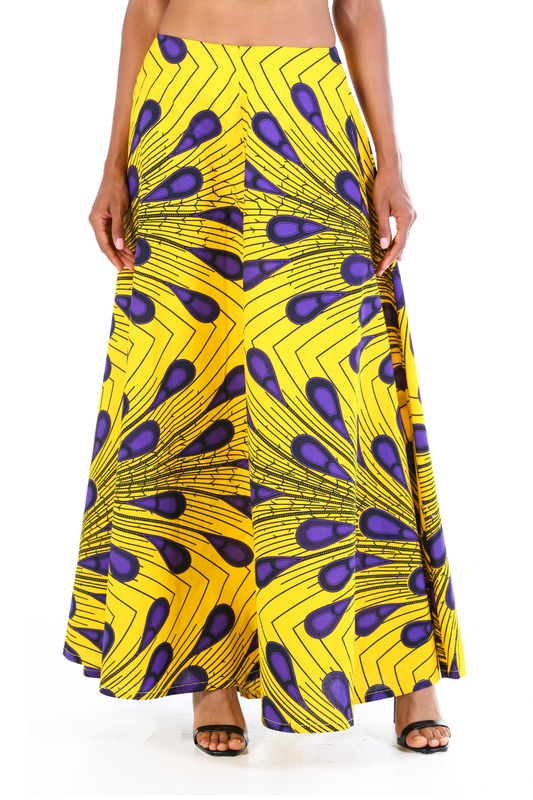 Ankara Maxi Skirt with side pockets. It features a full A-line silhouette for that added dramatic effect. The print is a gorgeous geometric reminiscent of a peacock. A gorgeous skirt for festival season or vacations.